Ever since the BlackBerry Playbook hit store shelves, many of you have asked us when Viira will become available on your Playbooks. We are very excited to be announcing that we are working on making Viira available for the Playbook and will make it available once the 2.0 Playbook update rolls out. Why wait until the 2.0 update to the Playbook? As a third-party software application Viira requires key tools and libraries in order to function on the Playbook. 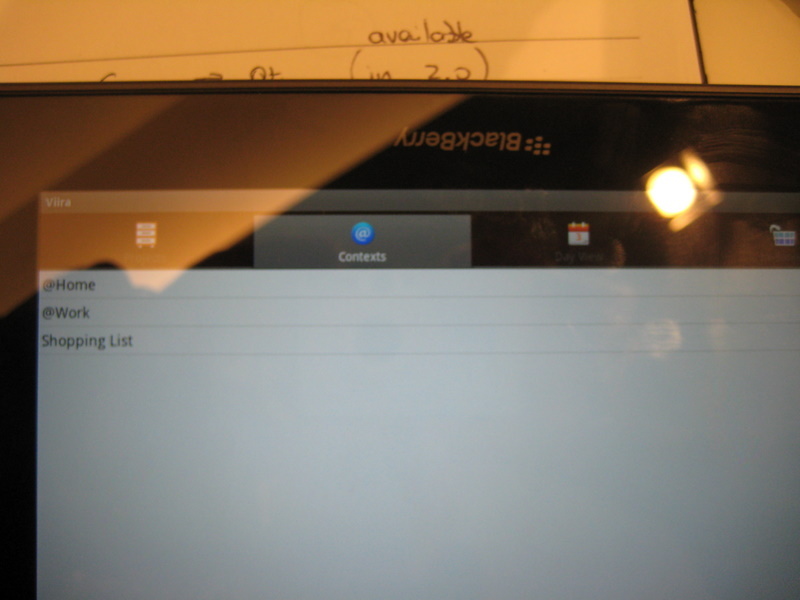 At present RIM has not provided these tools and libraries but they made a formal announcement that everything necessary for porting apps like Viira to the Playbook will be available in the 2.0 update. The 2.0 update to the Playbook is currently slated for February 2012. A minor clarification is probably needed here. The 2.0 update to the Playbook does not represent a new version of the Playbook but rather a software update that RIM will be making available to all BlackBerry Playbook owners over the coming months. For up-to-date info, reviews and even rumours on everything Playbook-related you can check out the Playbook page at Crackberry.com. Yes, the PB version is coming soon very soon! The beta is currently waiting for approval in App World, apparently they have a huge backlog with thousands of new apps having been submitted for the 2.0 release so we are seeing large approval delays. We are hopeful that at least within the next week or two the approval process will be finalized and the beta of the Playbook version of Viira will be available for download as we have heard from many people who are very excited to get their hands on it! The big hold up is the App Wold approval process. App World is backlogged because they received so many developers submitted their apps. Fingers crossed, we are hoping to have the Playbook version of Viira finally approved next week! Sure hope that April showers bring Viira for Playbook! Will finally have a top notch calendar/task app for both BB platforms.